Faculty Day 2014 was a great success. It was a beautiful day, there was a wonderful atmosphere and spring was in the air! It was a delightful day of celebration. A big thank you to everyone who presented and helped. A full report, photographs and downloadable presentations are now available on the Faculty Day page. 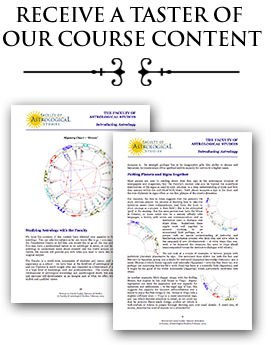 The Astrology of the Family – New Live Class! Begin Your Diploma in Bali! The Faculty Awards Two Honorary Diplomas!